Easter is less than a month away and I'm sure the preparations for your children's ministry Easter events are well underway. You may be thinking about some early promotion of these events and so I've created a simple Easter slide that you may like to use. The wording may be altered to suit your own needs. I created the design using Smilebox. I've mentioned this great little program before but in case you missed it, use the link below to find out more. I've also include a little promotional movie clip, also created with Smilebox, for our Kids Club program so that you can see how it can be used. 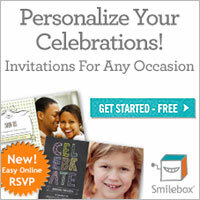 Smilebox makes it easy to share invitations, slideshows or clips via Facebook, twitter or your website/blog. It probably took about 15 minutes to create the clip. I am glad when reading your blog post with updated knowledge! Thanks allot and expect that you will blog post more sites that are connected to this site. Thanks... I'm glad you enjoyed reading it.